Joining our firm in 2013 is my son, Philip F. Counce, Jr., making him the third consecutive generation of family lawyers. He received his Juris Doctor degree from the prestigious Lewis and Clark School of Law in Portland, Oregon. 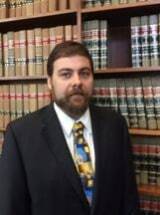 He was accepted to the school’s Advanced Legal Clinic and gained valuable court experience representing clients in the fields of bankruptcy law and landlord and tenant law. Law Professor and author Samir Parikah employed him as a research assistant for the Bloomberg Treatise on Bankruptcy. Previously he completed an undergraduate degree from the University of Tennessee, Knoxville, Tennessee with a Bachelor of Arts English degree with a creative writing concentration and a double major in Psychology.